The aim of the designers is to try and maximize the energy transfer from your swing to the golf ball to generate the fastest possible ball speed no matter where on the face you strike the golf ball. These improvements will deliver a benefit to you, but remember that there are two other factors that affect the distance you’ll achieve: launch angle and spin rate. Your golf ball design also impacts the amount of energy transferred from your swing into actual ball speed. Some golf balls are designed with larger and higher-energy cores that will work with certain swing speeds to maximize the ball speed off the club face. Different golf balls will also react differently with respect to the amount of spin created off the club face of the Driver. 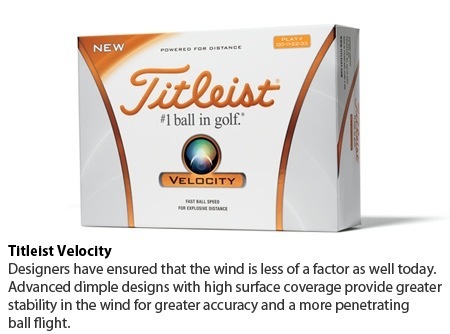 And again, different golf balls will launch at a slightly different angle. There can be 10 – 15 yards of distance to be gained just by finding the right golf ball for your swing. If you are looking for added distance from your clubs, or especially the Driver, then contact us. We’d be glad to help. 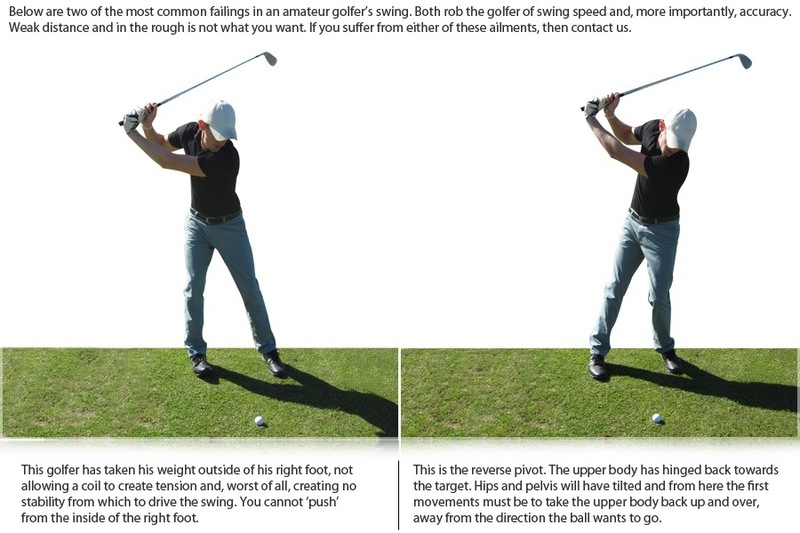 It doesn’t matter how long you have played the game, if you have either of these faults in your backswing, set out to fix it. The benefits to both your distance and accuracy will be enormous. If you think you’d like to make that improvement, then contact us right now and we’ll get to work with you. This entry was posted in fitness, golf, golf instruction, golf tips, sports and tagged draw, equipment, golf, golf instruction, golf tips, over the top, slice. Bookmark the permalink.